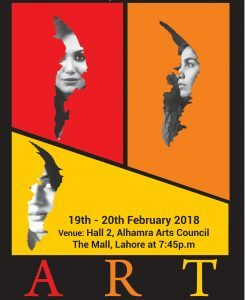 LATZ and Alliance française Lahore are proud to present “ART” by Yasmina Reza. For the first time in Pakistan, the Tony award winning play will be staged with an all-female cast. This beautiful play about friendship, its challenges, and – well – art, has been entertaining audiences the whole world over since 1994, and still holds a timeless appeal. Tickets will also be available on show dates at the venue.